A little more than a year ago, Cori Sarsfield was out of work. Having just arrived back home after teaching in Kuwait, Sarsfield found the economy in ruin. No matter how hard she looked, she could not find a job. “I didn’t want to become a statistic,” she said. She did a lot of research. “I wracked my brain,” Sarsfield said with a smile. 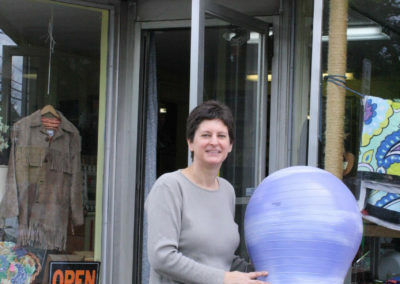 The result of that research is More Than A Thrift Store, a non-profit thrift store at 85 Marlboro Street in Keene. 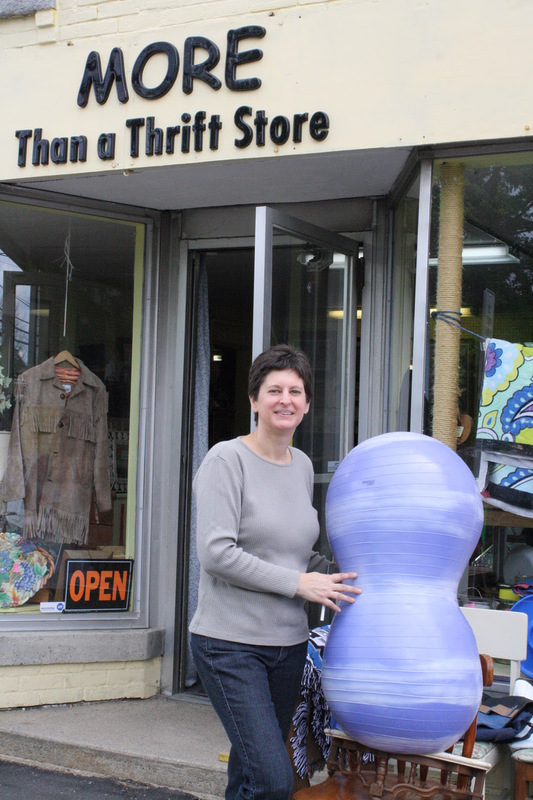 Located just past the roundabout, More Than A Thrift Store is just that: more than a thrift store. 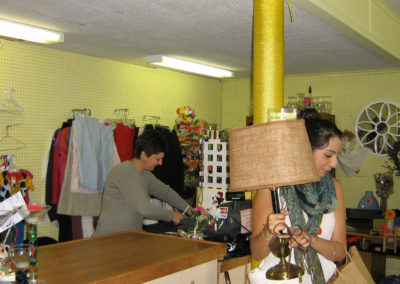 Its focus is on helping others through sales of donated items. “One hundred percent of net proceeds go to Southwestern Commuinty Services,” Sarsfield says. Because all of the inventory is donated, interesting items are always in stock. “I have no control over the inventory – and I like that!” Sarsfield said with a laugh. From glass vases to knicknacks, from mens suits to board games, from pots and pans to toys, More Than A Thrift Store is sure to have something for every home. 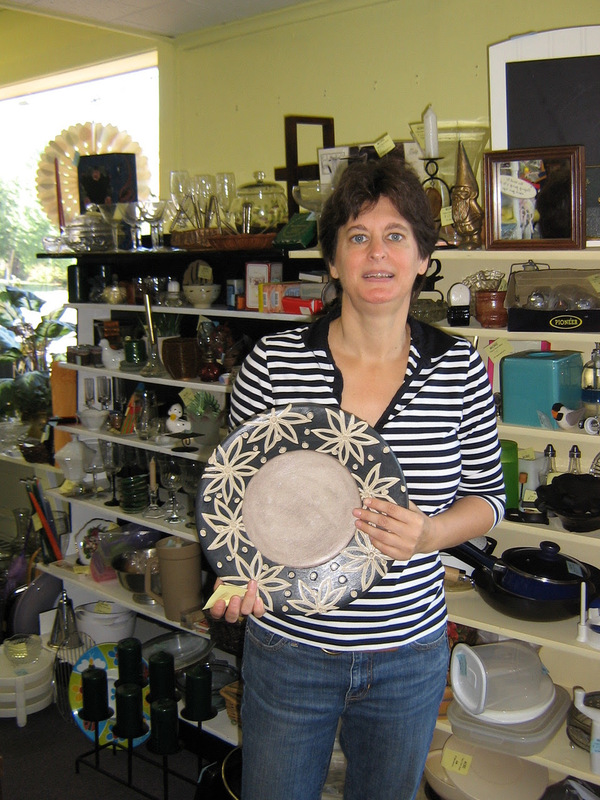 It’s easy to donate to More Than A Thrift Store; just drop items off during store hours and, after a lookover by Sarsfield or any of the volunteer clerks (her husband, Joe, is one of them), the item will be put up for sale. At the time of this writing, there is a piano sitting in the shop, with knives and other small items sitting on it. Just about everything is accepted as a donation, except large appliances, mattresses and box springs, cribs, playpens, carseats, humidifiers and dehumidifiers, ripped or stained furniture, printers and computers, and VCR/cassette tapes. That old CD collection is more than welcome, as is a good coffee maker or bread machine. 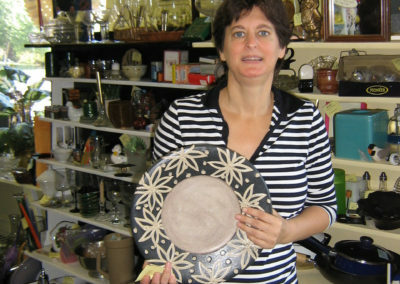 “I’m always looking for a good deal,” says Marika Ostroski, a frequent customer. “The people are nice, very friendly. I usually come in here to buy clothes.” There is a full stock of clothes, as well as belts and shoes for men, women, and children. 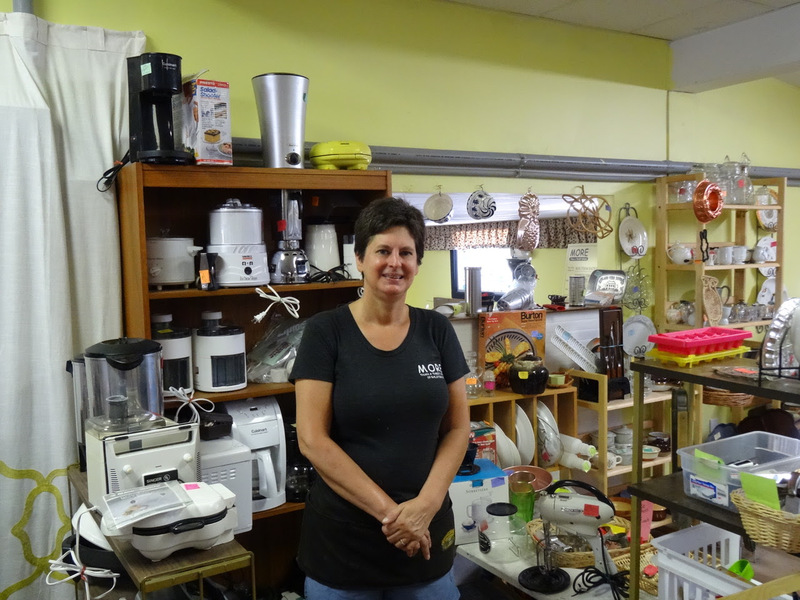 The bright shop is packed with gently-used clothes and appliances that are priced to sell. 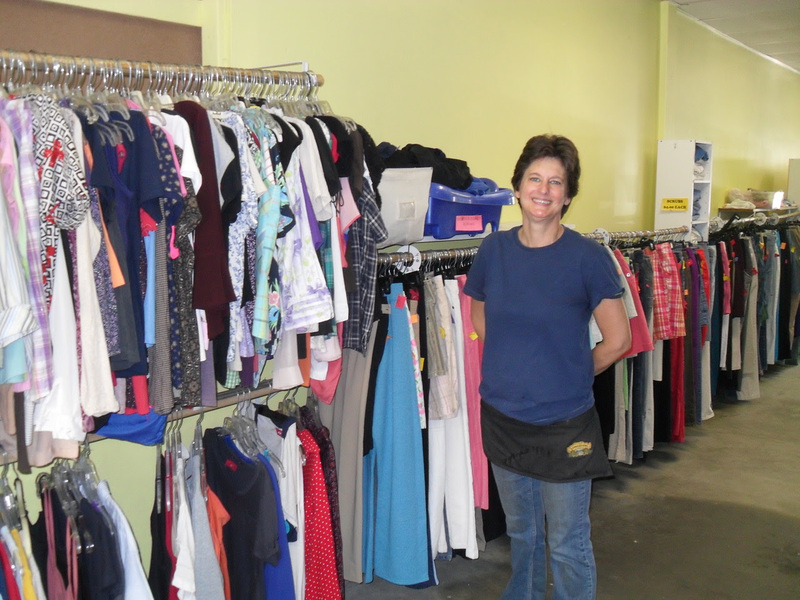 More Than A Thrift Store is a non-profit shop, which means that all of the net profits go directly to an organization that helps people. 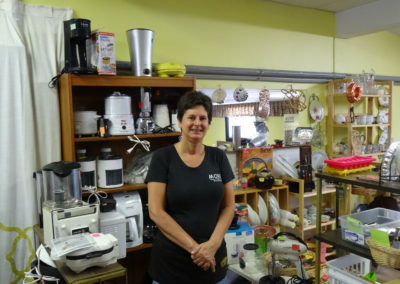 In More Than A Thrift Store’s case, all profits go to the Southwestern Community Services, which is a community-action program agency that administers programs to fight poverty. More Than A Thrift Store will be celebrating its one-year anniversary on Saturday, July 14th with pizza from Athens Pizza. There will be soda and prizes as well, and throughout the day, all items will be 10 percent off. 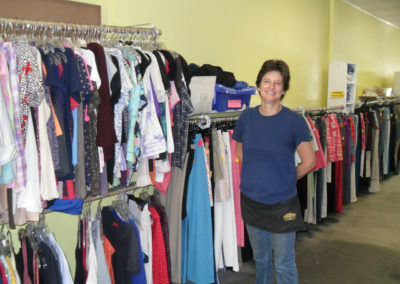 At 12:45 p.m., More Than A Thrift Store will be giving a check to Southwestern Communtiy Services that includes the profits from the entire year. “We feel really lucky that we can give anything this year,” Sarsfield says. Southwestern Community Services is a community action programs agency that empowers low-income families as they work toward self-sufficiency. 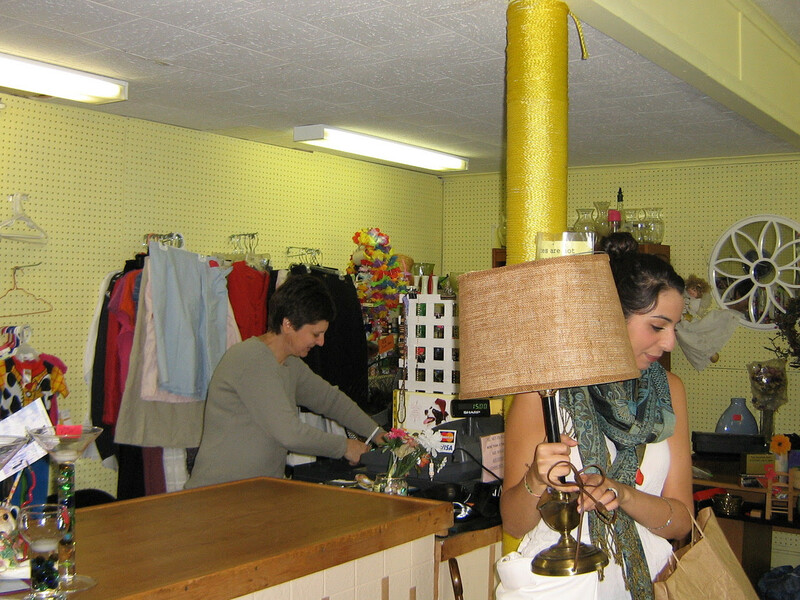 When an item is purchased at More Than A Thrift Store, the local community benefits. Programs administered by Southwestern Community Services are WIC (Women, Infants, Children), weatherization, Head Start, homeless services, housing and housing rehabilitation, New Hope New Horizons, workforce development, Commodity Cupplemental Food Program, energy services, and Mobile Outreach. Store hours are Mondays 10 a.m. to 6 p.m., closed Tuesdays, Wednesdays through Fridays 10 a.m. to 6 p.m., Saturdays 9 a.m. to 5 p.m., and Sundays noon to 4 p.m. More Than A Thrift Store accepts credit cards and offers gift cards for purchase. For more details about More Than A Thrift Store or how to donate, call 603-355-1890. For more details about Southwestern Community Services, visit www.scshelps.org.